דגם: Undersea volcanic eruption! 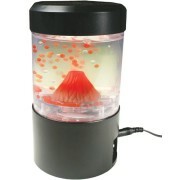 Activate your capability switch and red lava beads continuously erupt from the volcano to create a wonderful visual display. Soft lights enhance the eruptions. Great for increasing visual attention.